Scholarship@Villanova/Endowed Chair Lecture featuring Helene Moriarity, PhD, RN. Professor at the College of Nursing. Dr. Moriarty is a nurse advocate for military veterans and their families who has targeted her scholarly work on the health needs of those who have served in the military. Her lecture will focus on her research with interprofessional teams at the Philadelphia Veterans Affairs Medical Center. Tuesday, March 24 at 2:30 p.m. in room 204. 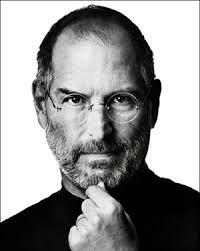 Today Steve Jobs would have celebrated his 60th birthday. Whether you’re a Mac or more of a PC, it’s hard to deny the influence of Apple’s forthright and visionary leader. An interesting read at any time, Jobs’ Stanford commencement speech from 2005 is especially poignant today. We especially love the tale of how the elective calligraphy class he took before at Reed College impacted the design of the original Macintosh. (BTW – did you know that original fonts on the Mac were named after Philadelphia Main Line towns? Or is that urban folklore? Hmm…sounds like a job for a librarian!) Click here for the full text of the address. Follow us to find out what’s happening at Falvey!